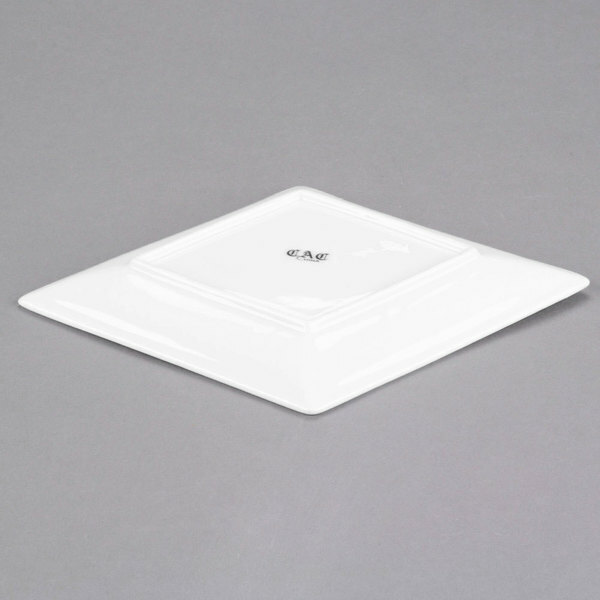 Make table settings and food displays at your restaurant, buffet, or catered events geometrically glamorous with this CAC DM-C14 White Diamond 12 1/4" x 9 1/2" dinner plate. 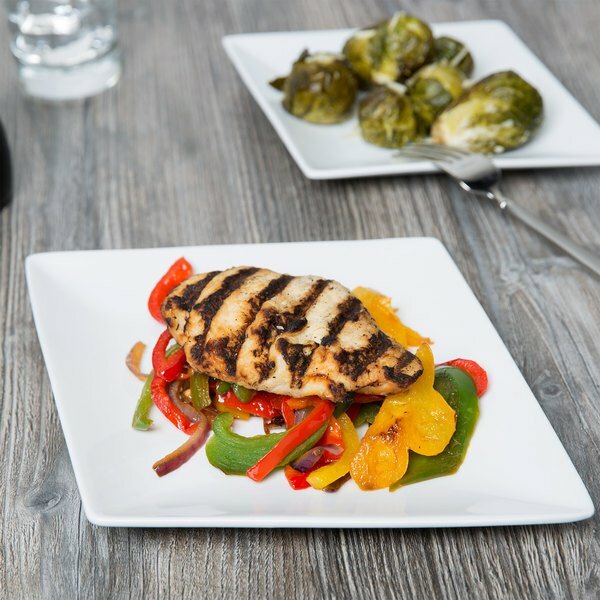 The coupe style Diamond plate's raised rim and recessed serving area provide ample space for creating colorful and daring plating arrangements. 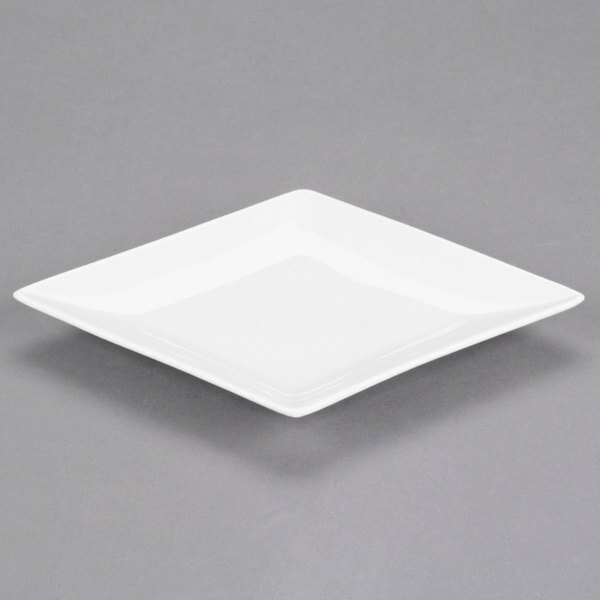 We are recently undergoing a transformation in our banquet kitchen and we bought a case of these to replace some plates for events, no regrets!! 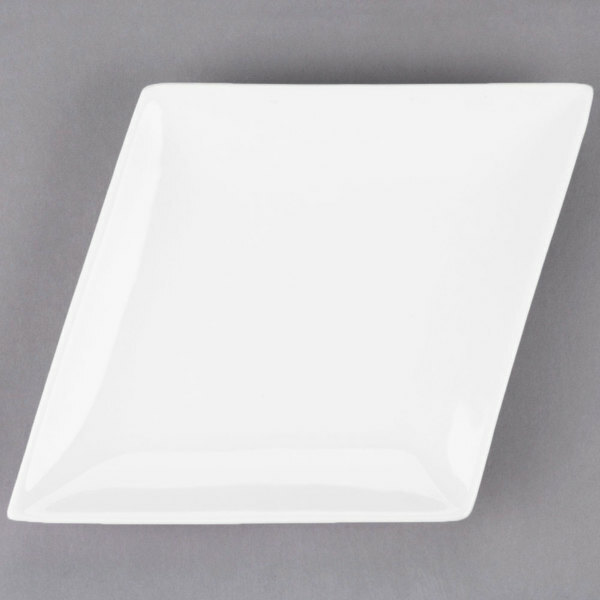 They are bright white in color, built to last and perfect for entree portions!! 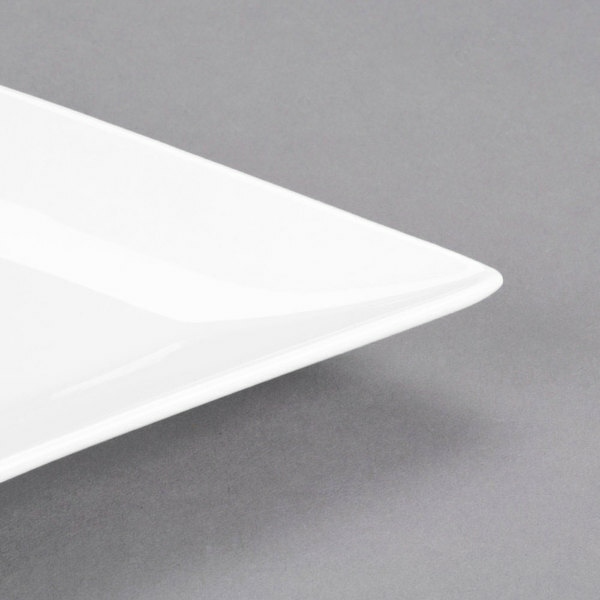 Good price too!! !